Everyone would like that perfect smile. 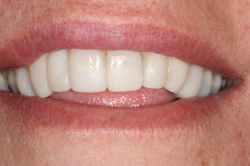 With composite veneers that is possible with a procedure that is carried out in only a few hours and is non-invasive. This is a non-invasive treatment. 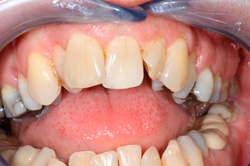 The teeth are first polished to give a 'key' for the composite resin material to be sculpted over the tooth. Tooth shape and colour can be changed. Composite veneers are great, as the tooth is not compromised.